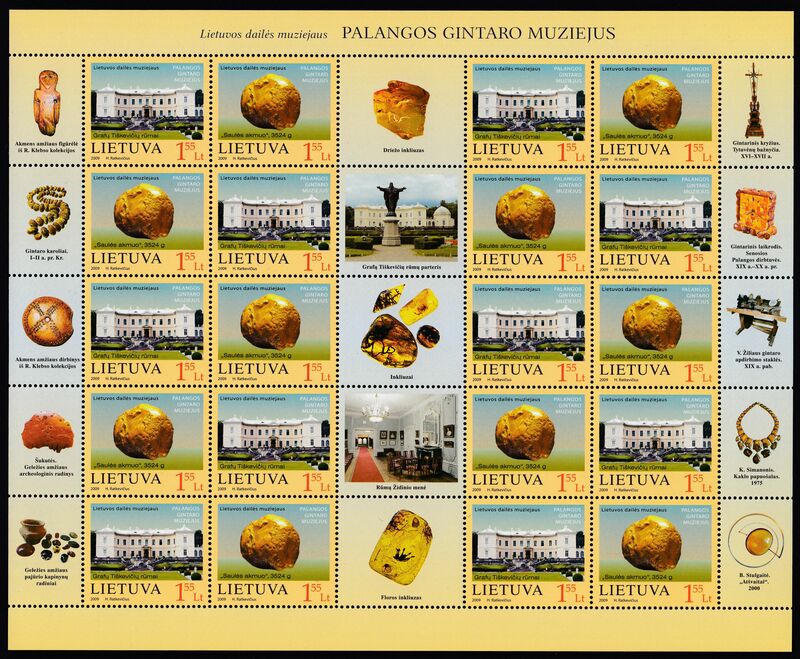 Lithuania 2009 "From the stocks of museums. 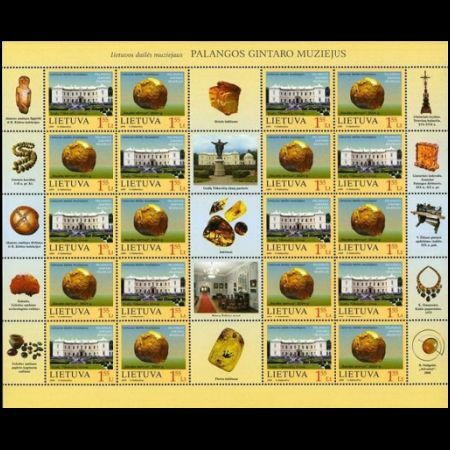 Palanga Amber Museum"
Layout MS of 20 stamps. 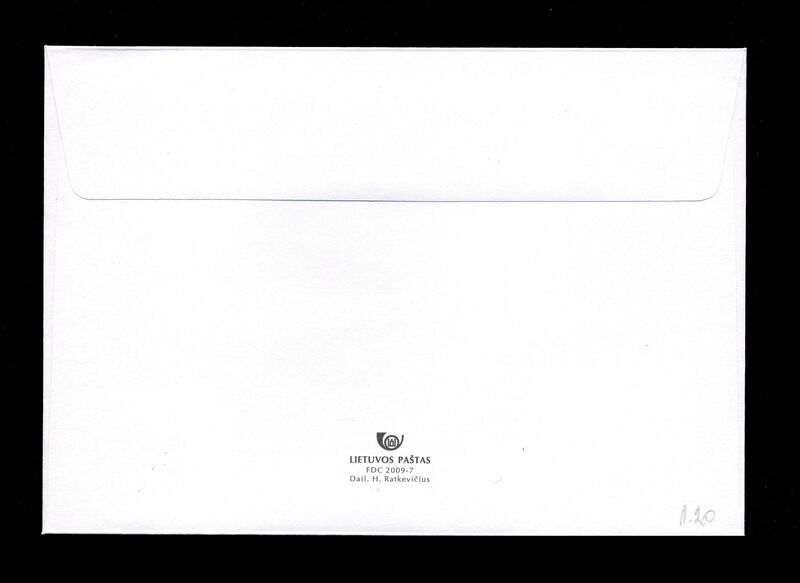 Printed in sheets containing 10 pairs of stamps and 15 labels. Three of the labels show pieces of amber with inclusions, insects and a flower. 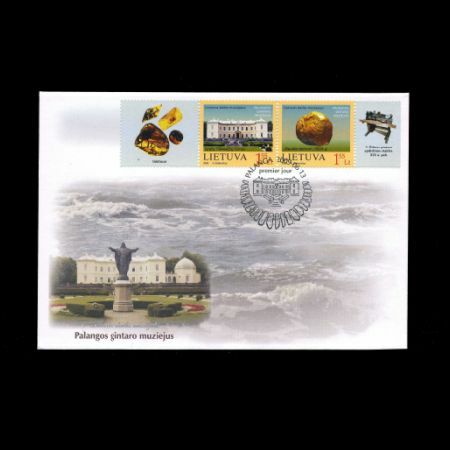 Palanga Amber Museum is a branch of the Lithuanian Art Museum and was established on the 3rd of August 1963. The museum has about 29 thousand amber showpieces. 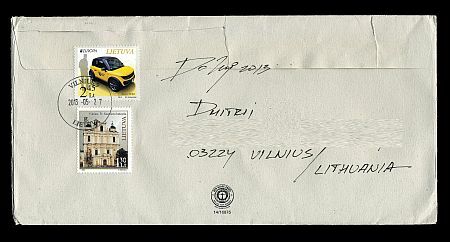 One of the postage stamps shows the estate of Count Feliksas Tikevi?ius, built in 1897, in which the Amber Museum is established. The estate palace in neo classicist style, also with features of renaissance, baroque and classicism is surrounded by large and beautiful Palanga Botanical Park. 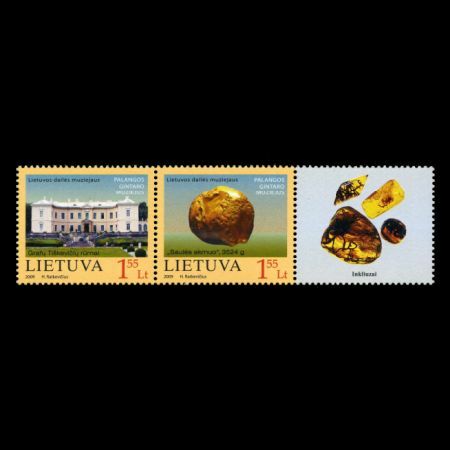 The other postage stamp pictures the most prominent showpiece of the Amber Museum Saul?s akmuo (Sun stone), which is one of the largest pieces of amber in the world. The stone is almost round, in size equalling to the size of a mans head, dark yellow with some lighter spots in the areas where it has been polished. 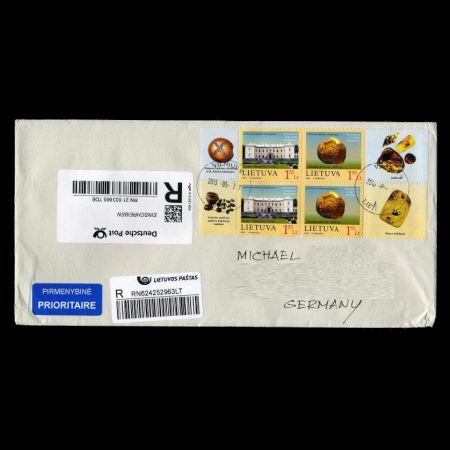 One of labels, in ther middle of mini sheet depict prehistoric insects inseide amber.